Capturing an emotion, enhancing it, sharing it - that is the meaning of my work as a winemaker. By creating the only winery in Mauritius dedicated to the development of lychee wine, I wanted to write winemaking differently: with a good dose of daring, a little know-how and a lot of fun. A fully qualified winemaker, Alexander also has a Master’s degree in International Business of Wines and Spirits and is a trained Superior Agricultural Technician in Viticulture-Oenology. Alexander is moreover certified as International Bordeaux Wine Educator by decree of the Interprofessional Committee of Bordeaux Wines, and by the Wine and Spirit Education Trust of London as its Approved Programme Provider for Mauritius. Alexander participated in many vinification campaigns in South Africa and France before his return home to Mauritius in 2010. 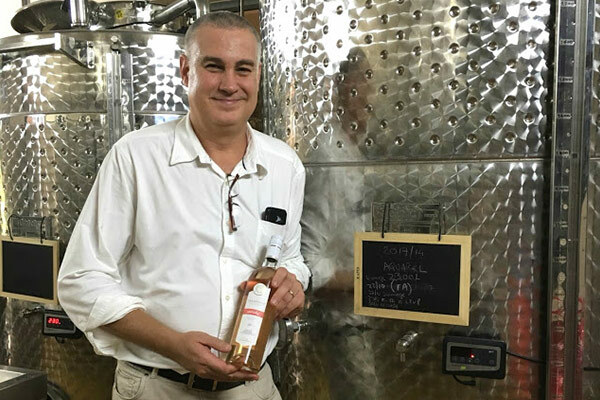 Since then, he has trained many Mauritian wine professionals, been a technical adviser to several rum distilleries in the island, and served as a member of the jury in several international competitions. Alexander is now devoted exclusively to the development of lychee wines at Takamaka Boutique Winery.